The City of Valdez maintains one Class B and three Class A public water systems. The water system at the Goldfields Softball Complex is the only Class B system currently maintained by the City. 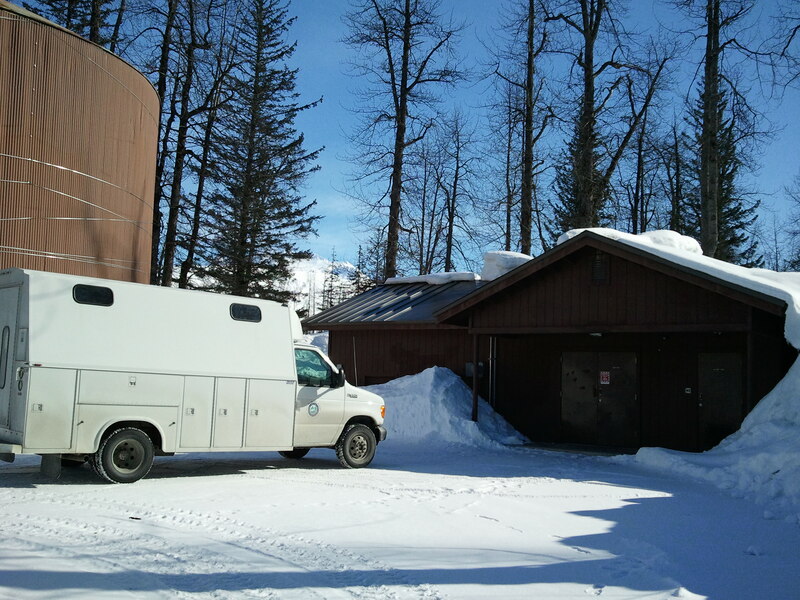 The water/waste water department is a division of the City of Valdez Public Works department. It consists of four full time operators, who are certified by the Alaska Department of Environmental Conservation in water distribution, as well as wastewater collection and treatment. The main in-town system provides water to the residences and businesses in the immediate town area. This system has four wells, which supply water to two 750,000-gallon reservoirs. Three wells on Hanagita Street draw water from a groundwater aquifer located approximately 60 feet below the surface, providing a continual supply of water to Reservoir #1 located on “water tower hill.” A second pump station located off West Egan Drive also draws water from an aquifer 60 feet below ground, supplying water to Reservoir #2, which is located on the hill behind the station. The reservoirs are approximately 108 feet above sea level allowing the water to gravity feed the City with a pressure of about 85 psi. It is suspected that the water from the two reservoirs is not completely blended in the distribution system; therefore, both reservoirs are monitored for water quality. In 2002, the Southcentral water system saw some changes. New water mains were added to connect the previously existing Loop Road and Airport water systems with this system forming a looped system. 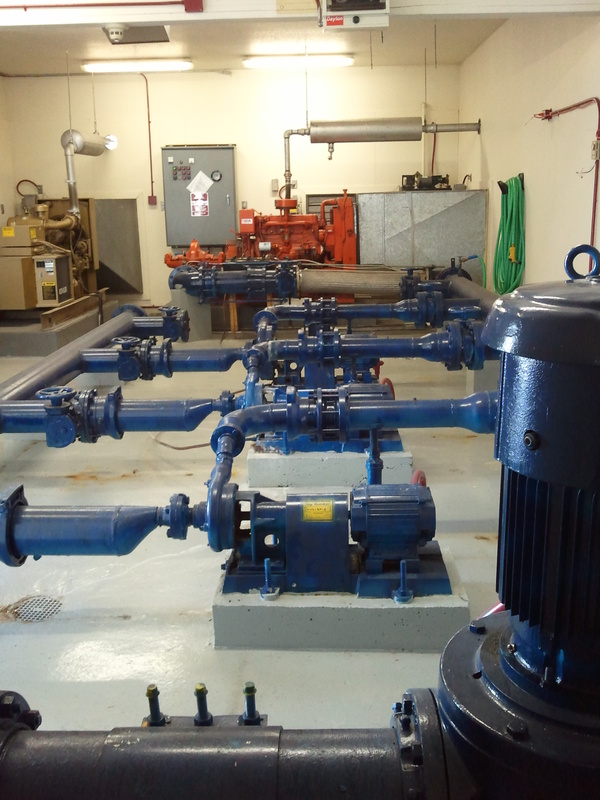 Located next to the Senior League Field, the pump station with two well pumps draws water from an aquifer located approximately 60 feet below ground and stores it in a 500,000-gallon reservoir. Water is then pumped into the distribution system with the aid of booster pumps. Water is supplied to residents and businesses along Salcha Way, Airport Road, and Loop Road on the Richardson Highway. The Robe River water system provides water to all service connections in the Robe River Subdivision. This system also draws water from a groundwater source located approximately 60 feet below the surface. This system has two well pumps, which supply a 420,000-gallon storage reservoir. Three booster pumps are available to provide adequate pressure within the system. Due to the exceptional quality of water from these systems, it is not necessary at this time to treat the water. All of the Class A systems have on-site disinfection capabilities if treatment is needed. All of the Class A systems are equipped with back-up emergency power to provide uninterrupted service in the event of extended power outages. The treatment plant is a three-stage lagoon, secondary treatment, aerated, complete mix facility, with chlorine disinfection. The first and second lagoons are aerated with submerged aeration piping. The first lagoon has 14 aeration manifolds with five coarse aerators per manifold. The second lagoon has equivalent aeration; however, the diffusers taper off to allow for settling of the effluent before it reaches the third lagoon. Three 60-horse power blowers supply air, which rises through each cylinder drawing in the water and creating a complete mix. During normal operation, only one blower is needed; however, two blowers are used during the summer due to the increase in organic loading. The third lagoon is considered a contact basin. Chlorine is added to destroy pathogenic bacteria. Dechlorination occurs naturally through diffusion and dissipation. There are 8 pump / lift stations and 21 miles of piping, which make up the wastewater collection system. Wastewater reaches the treatment facility, which is located four miles from town through a series of lift and pump stations. A lift station lifts sewage from a lower elevation to a higher elevation allowing the sewage to flow by gravity, while a pump station pressurizes the sewage and discharges it into a force main. Sewage flows to the treatment facility from the town area, Loop Road, and Airport Road area. The current treatment facility was constructed in 1975 and designed to handle 1.5 million gallons a day. The average daily flow is approximately 920,000 gallons. The total amount of sewage treated in 2002 was 335 million gallons.